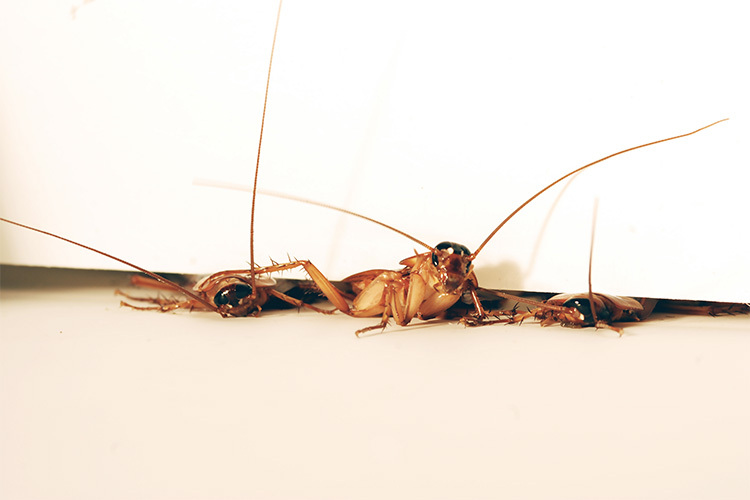 Cockroaches can quickly squeeze through impossible small cracks. Not only can they squish themselves to get into one-tenth-of-an-inch crevices, but once inside they can run at high speed even when flattened in half. Now scientists are looking to the American cockroach (Periplaneta americana) to create a robot that can get through cracks—a valuable talent for search-and-rescue missions in rubble after tornadoes, earthquakes, or explosions. Further, when traversing crevices, roaches can withstand forces 900 times their body weight without injury. As reported in the Proceedings of the National Academy of Sciences, Jayaram built the model robot using an origami-like manufacturing technique, now available as an inexpensive kit made by Dash Robotics—a commercial spin-off from previous robotic work at UC Berkeley. More robust versions will be needed for real-world testing. Over the past three decades, Full and students in his Poly-PEDAL lab have studied how animals walk, run, jump, glide, crawl and slither to understand the basic biomechanical principles that underlie locomotion, and that can be used to design better robots. Their findings have inspired robots with legs like those of cockroaches and crabs as well as sticky feet like those of geckos. Twenty-five years ago, Full discovered that American cockroaches can run on two legs—a feat certified by the Guinness Book of World Records—and can achieve a speed of nearly 5 feet per second, or 50 times their body length per second. The Army Research Laboratory supported the work.